To execute the mentally ill violates the eighth amendment on cruel and unusual punishment but what constitutes as mentally ill in the eyes of the law? How insane does one have to be to avoid being executed? 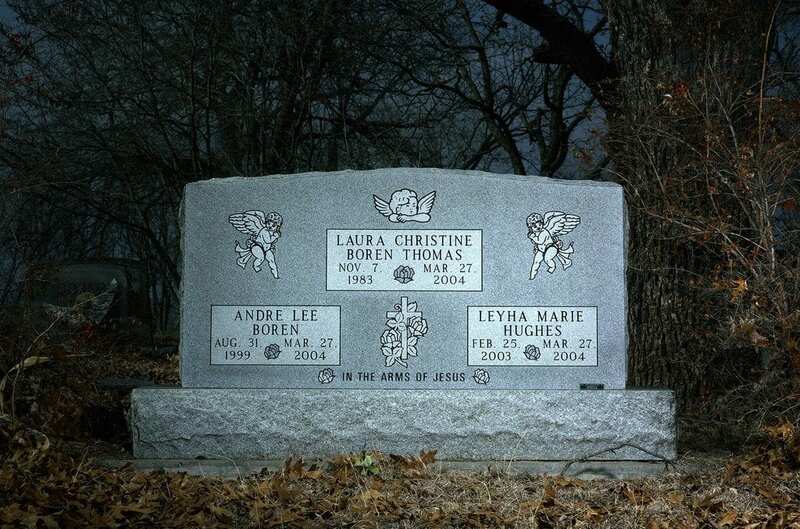 On 27 March, 2004, in Grayson County, Texas, Andre Thomas broke into this home of his 20-year-old estranged wife, Laura Thomas, who was at home with their 4-year-old son, Andre Lee. 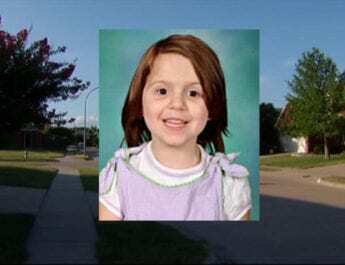 Laura’s 13-month-old daughter, Leyha Marie Hughes, was also inside the home. Laura had since moved on from Andre with Bryant Hughes, the father of Leyha. Once inside the home, Thomas stabbed the young family to death using a variety of knives so that he would not “cross contaminate” their blood and “allow the demons inside them to live.” As the lifeless bodies lay before him, Thomas cut out a portion of Laura’s lung (believing it was her heart) and cut out the hearts of the two children. 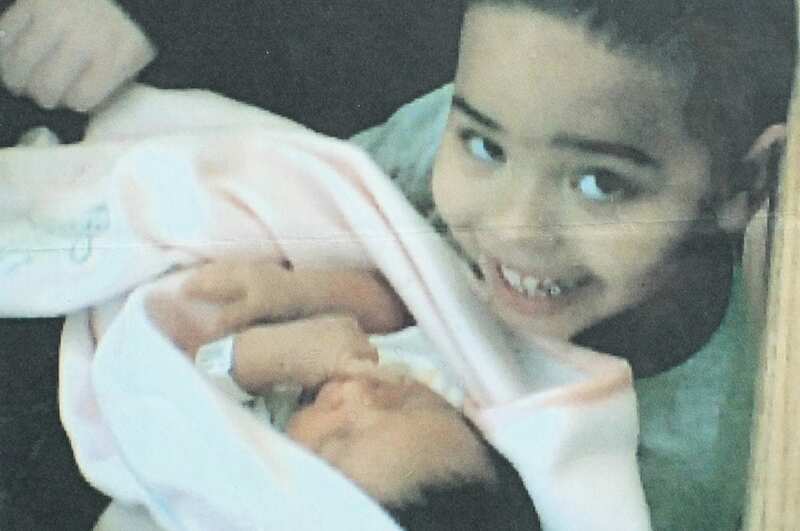 Leyha and Andre Jr. Credit: Boren family. The pathologist, Sheila Spotswood, would later describe the gruesome injuries that the victim’s suffered. 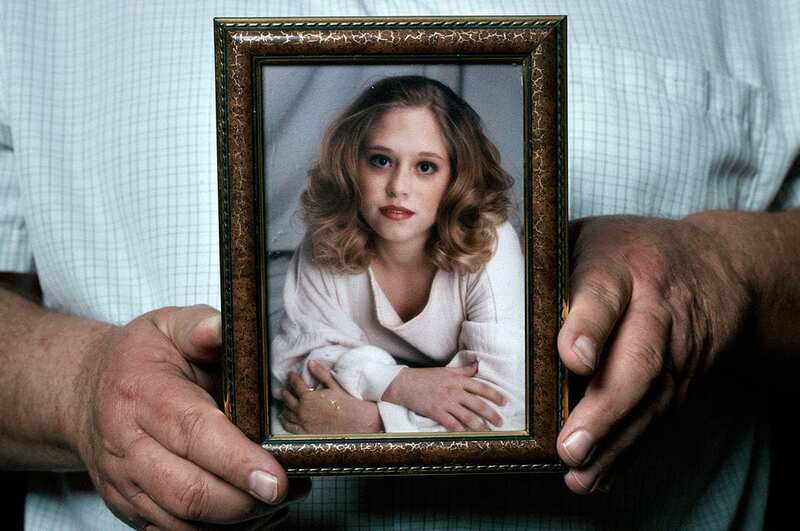 She said that Laura had suffered a large V-shaped stab wound to her chest as well as many other stab wounds. She said that young mother suffered from internal stab wounds too and that the stabs were delivered with such force that they went through her ribs. The children suffered similar wounds. In addition, all of their ribs had been cut open. Laura Thomas. Credit: Boren family. Beside the bodies, Thomas left a one dollar bill which was folded lengthwise, exposing the pyramid with the eye in the middle. It was said that he had been obsessing over the meaning of the pyramid in the dollar bill and that he believed that the eye was evil. Afterwards, he lay down beside his deceased estranged wife and stabbed himself in the chest. When he didn’t die like he had expected, he collected the organs, stuffed them into his pocket and walked back home. 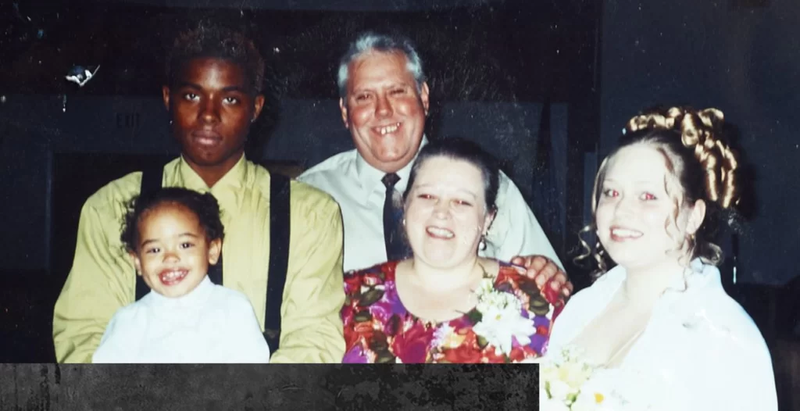 Andre with Laura’s parents. Credit: Texas Tribune. Afterwards, Thomas told his girlfriend, Carman Hayes, and his cousin, Isaiah Gibbs, what he had done. When Hayes asked why, he explained that he believed Laura was Jezebel and that his son was the Antichrist. Little Leyha was the embodiment of pure evil, he contended. Thomas had a fascination with religion, particularly the book of Revelation. His girlfriend said how Thomas believed he was the devil and believed that if he could stop himself for talking for 24 hours then God would forgive him. To do this, he would frequently place duct tape over his mouth. In the run up to the murders, Thomas had attempted suicide on several occasions. Just two days before he broke into Laura’s home, he stabbed himself and walked to the ER at the Texoma Medical Center. He told the doctor he was trying to “cross over into heaven.” He was referred to the mental health unit and an emergency detention order to hold him against his will was filed. While staff members waited for the judge to sign the order, Thomas wandered out of the building. There is no evidence that officers even searched for him. The next time they would see him would be two days later, after he slaughtered his family. After confessing what he had done to his cousin and girlfriend, Thomas handed himself in to police. 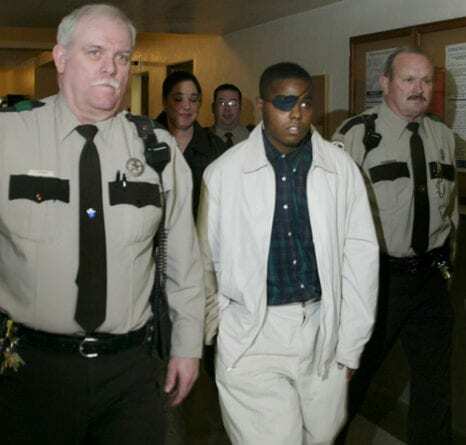 Just a couple of days after his arrest, Thomas plucked out his eyeball with his bare hands while in his jail cell. He then quoted the verse Mark 9:47: “And if it causes you to sin, pluck it out. It is better for you if you enter the kingdom of God with one eye than to have two eyes and be thrown into hell.” He was taken to a hospital where his eyeball was put on ice but it couldn’t be reattached. In the run up to his trial, Thomas would often be heard having conversations with himself and laughing manically while in his cell at the Grayson County Jail. Natalie Sims, the head nurse, said he often spoke about his deceased estranged wife in the present sense and didn’t seem to understand that she and the children were dead. 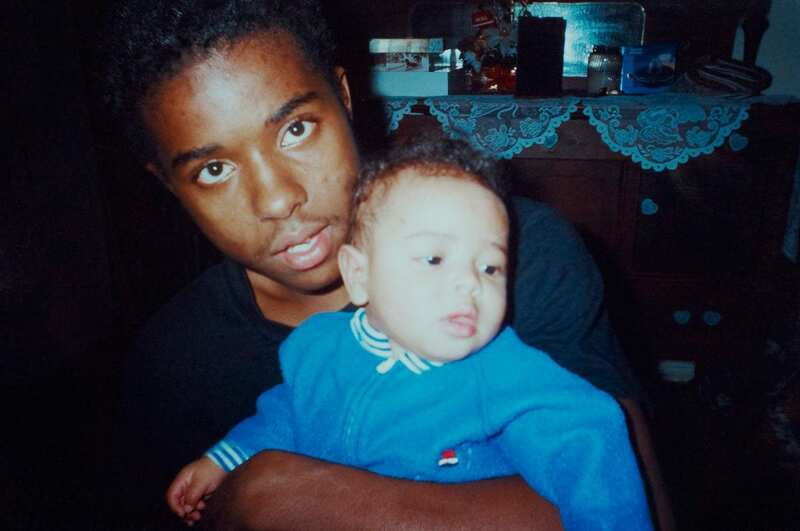 Andre and Andre Jr. Credit: Boren family. During his trial, the defence team, R.J. Hagood and Bobbie Peterson, asked the jury to take into consideration Thomas’ self-mutilation. They argued that Thomas was insane. Hagood put forward the fact that Thomas was once a bright young man with a promising future. He recounted how he had been accepted into the gifted and talented program at Sherman schools. According to Hagood, however, Thomas was plagued with mental illness which ultimately led to his downfall. 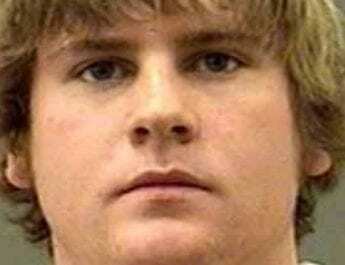 He declared that Thomas’ family knew that he was mentally ill from the age of 10 when he slit his own wrists. Just three years later, he attempted suicide once again when he sawed at his arm with a butcher knife. Soon afterwards, Thomas started to dabble in petty crimes. On the other hand, the prosecution argued that Thomas was a man who refuses to take responsibility for his wrongdoings and allegedly had a history of feigning mental illness to diminish responsibility. During the trial, Thomas’ earlier probation officer told the court that he had scratches his arm and said he was contemplating suicide in an attempt to get out of going to boot camp. “I will ask you to say that Andre’s life is worth saving,” Hagwood said during closing statements. He asked the jury to consider Thomas’ mental illness and to overcome with their kindness the brutality that Thomas showed on that fateful afternoon. Peterson said that the death penalty should be reserved for the worst of the worst and that Thomas should be placed somewhere that he could finally get the psychological help that he needed. Ultimately, the jury decided with the prosecution; it took them just 45 minutes to decide that Andre Thomas must pay with his life. He was sentenced to death. 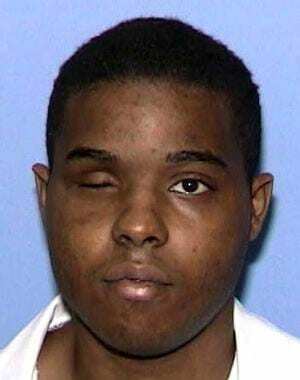 Thomas was sent to the Polunsky Unit, where Texas Death Row inmates are housed. Over the forthcoming years, Thomas continued with his suicide attempts. In July of 2008, he slashed his throat with a razor which required stitches. Three months later, he gouged out his remaining eyeball and ate it. He said he had done so because he didn’t want the government to read his thoughts. He also believed the government had his other eyeball and told prison staff that he wanted it back. Afterwards, he was sent to the Jester IV Unit which is a state prison psychiatric unit. Thomas currently sits in a small cell with his eyelids surgically closed over empty sockets awaiting his execution. He cannot see. He cannot read. He cannot watch TV. He is left with nothing but his own thoughts. One wonders if Thomas had received parental support, would he have gone down a different path? At one point in his life, he excelled at school and took pride in learning. Why wasn’t that nurtured? What if he had received the mental health care that he had evidently needed from such a young age? 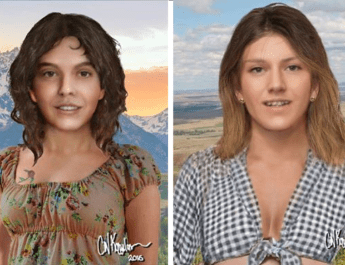 Would Laura, Andre Jr. and Leyha still be alive? 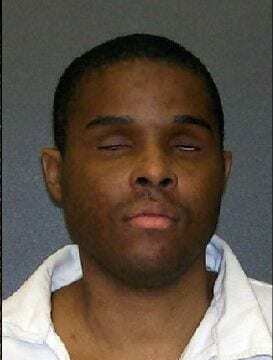 Texas certainly thinks so as they continue to forcefully pursue his execution. He may be insane but he deserves to die. Humane, really. He may be i Dane but he deserves to die. It would be humane, really. It’s Texas. He’s black. He killed a white woman. It’s not a matter if he’s insane or not. 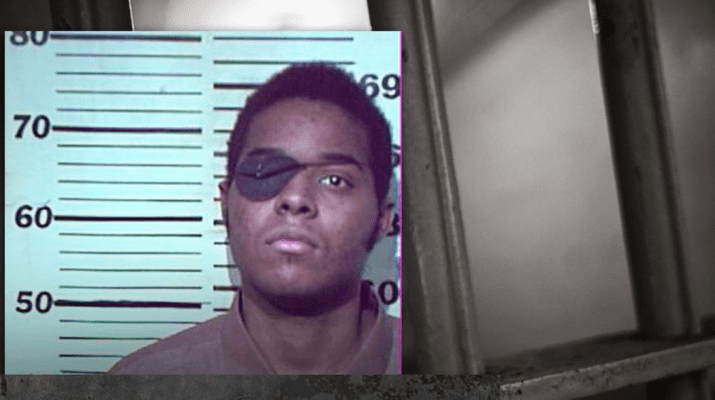 Black folks that kill white people in Texas are sentenced to die. Period. He needs to be in some kind of hospital and not on death row… I think lots of people fake mental illness but this man is obviously very sick…. The justice system failed this man. The crime is horrendous of course but this man seems to be very very sick… You do not pull your own eyeballs out if you are not sick. shame on texas…. May this poor family rest in peace. poor babies. This poor guy has been failed his entire life. I feel bad for him…he never had a chance. Nature vs. Nurture…he had no love from a mother. Death WOULD be his only release from the pain and anguish he feels. It isn’t right legally but ethically its what needs to be done. He needs peace. If the idiots at that hospital would’ve never let him escape those children and their mother would still be alive possibly. He was having a psychiatric emergency. Sounds like paranoid schizophrenia that was never treated.